It’s been a while since I’ve updated the progress metre, so much so that the last time I did it was at 5/39 pages completed! It feels good to have gotten back on track, and while this image indicates that I’ve got 9 more pages to go, it doesn’t really have a means of telling you exactly how close to done those last nine pages are. Today I managed to colour the backgrounds of all but three of them, and the remaining three are flatted, and one of those is half done. I didn’t really expect to get this close to back on track, but now that I am, it feels awesome. I want to say I’m less stressed, but I’m still shipping books and also on the verge of moving house in between now and the end of the month, so I’m gonna keep plugging away so we’re okay for January. 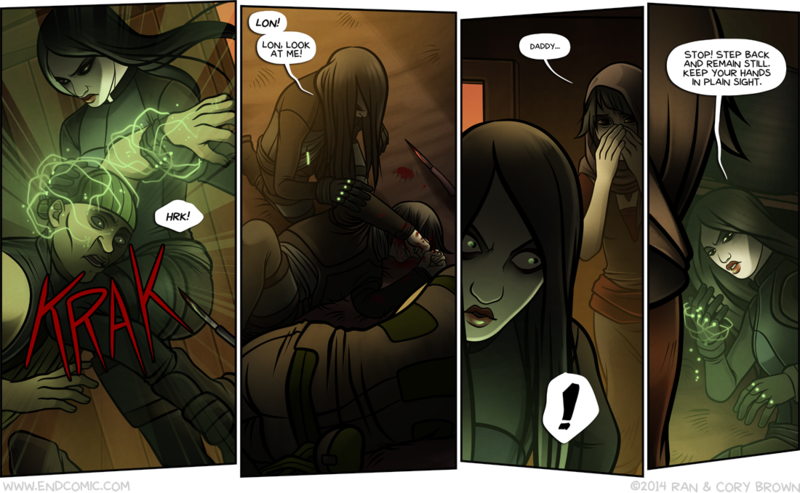 Anyhow, if you’re a $10 backer on Patreon, you can read new pages as I finish them versus when they will be posted. Once these last 9 pages are done, that’s updates that go right to the end of the year. Currently there are 4 unpublished pages available for patrons to read in the Buffer folder, but that’ll probably change tomorrow when I breeze through the backgrounds for the last 3 pages and get to work colouring the foregrounds. It’ll definitely change by the end of the weekend, and might include all of them. 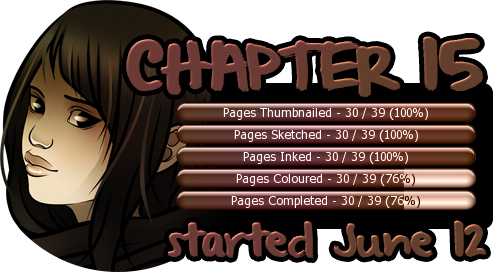 The next chapter will be the LAST chapter in book 2, which is super cool, and will push us over the 400 updates mark! And last but not least, the poll closes at midnight! I’ll post the results once I’ve removed all duplicate votes from it some time this weekend. Until then, vote vote vote!